Travel and the internet have been listed as the top hobbies in China. This is according to a study on economic life for 2013 to 2014, jointly conducted by the National Bureau of Statistics, China Central Television and the China Post. 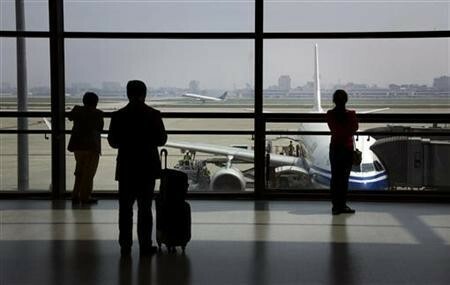 The study found out that most of the average families in China spend a big portion of their budget in traveling. The study also said the elder population in China has been actively traveling, with 30.1% of them interested in this hobby. Different locations in China also showed Chinese senior citizens' interest in travel. Seniors who were interested in traveling from Guangxi was accounted for 38.9%, Zhejiang with 38.8% and Jiangsu and Liaoning with 38%. The study also showed 60% of Chinese families want to own automobiles priced between 50,000 yuan to 150,000 yuan. Those who live in China’s eastern part were identified to have the strongest desire to own an automobile despite the traffic jams in the country. Meanwhile, the study showed those who live in villages and townships desire to buy cars valued 100,000 yuan or lower. Mutual funds and gold were popular investment targets for 70% of those who participated in the study. Records showed that those who live in northeastern China are higher interested in stocks and realities investment. Those who live in eastern China showed interest in education and training investment. Meanwhile, residents of central China are interested with insurance investment. The study also showed 29% of interviewees prefer to live in municipal level cities. Those who are in favor of living in country-level cities were at 24.8% while those who opt for provincial capitals were at 21.8%. On the other hand, 12.9% of the interviewees want to live in townships while 31.3% want to live in China’s big four cities. The joint study recorded web browsing as a favorite hobby with 54.37%, while 46.1% said they prefer watching TV. Meanwhile, 35.6% read during their pastime.